Accidents happen frequently. According to the National Highway Traffic Safety Administration, NHTSA, there were more than 6 million reported traffic accidents in 2015. In those accidents, 2,443,000 people were injured and more than 32,000 people died. Accidents occur for a variety of reasons. Rear-end accidents can cause some of the most serious and disabling injuries possible. One of the most common injuries caused by being rear-ended is whiplash. 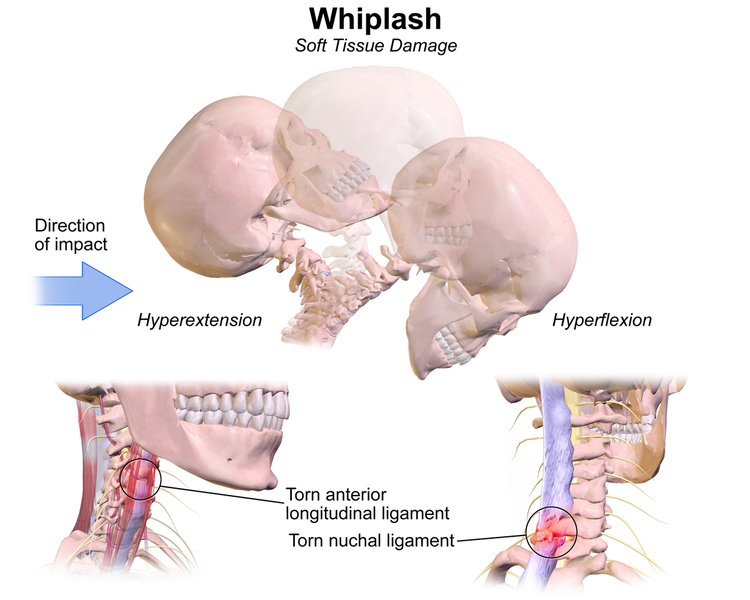 Whiplash is a neck injury caused by a sudden jerking motion, like what happens when a vehicle comes to a sudden abrupt stop. 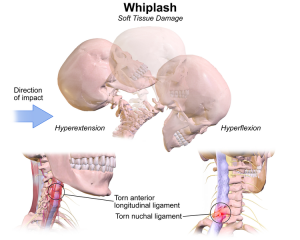 Whiplash can be a serious and painful injury that may take months or longer to heal. Head trauma is another serious injury that can result from a rear-end collision. If a vehicle occupant is not restrained, the jolt from the impact can force a person into the windshield. Unrestrained passengers in the back seat may fly around the interior of the car. Broken bones and bruises are common in rear-end collisions, as well. Objects inside the vehicle become like missiles, crashing into the driver and passengers. Victims may also suffer internal injuries from being crushed inside the vehicle. In some cases, rescuers need to use the Jaws of Life to remove trapped occupants. Injuries from auto accidents are treated in a variety of ways. Sometimes, surgery is necessary, while at other times, medication and stabilization will resolve the problem over time. In some instances, the victim may never fully recover. In these instances, the person may be unable to work, and may require ongoing care indefinitely. Medical treatment can be expensive and can severely impact the finances of your family. If the accident was not entirely your fault, you may be entitled to compensation. There are a number of damages that are incurred by victims of rear-end accidents. These include such things as medical costs, prescription medications, rehabilitation expenses, future medical bills, and ongoing care. Additionally, the victim or his family may be allowed compensation for pain and suffering, money for lost wages, and for loss of enjoyment of life, among other things. It is advisable to speak with a qualified personal injury attorney as soon after the accident as possible. After an accident, your first priority is to get the medical care you need. Soon thereafter, you may want to discuss your situation with a personal injury lawyer. Very often, the other party’s insurance company may contact you with a quick settlement offer. While this may sound like a good idea, it may not cover all of the damages that you or your loved one will encounter. Your attorney will review your case and will negotiate a settlement if one is possible. If not, the case may need to go to court. Call the experienced lawyers at Brod Law Firm to discuss your case and get answers to your urgent questions. We have three convenient locations including offices in San Francisco, Oakland, and Santa Rosa. Call us today at 800-427-7020 to schedule a free consultation.